The tea is poured out and my Dad sniffs at the aroma with the air of a connoisseur. The first sip is taken, A marie biscuit broken into two and reverently eaten with the ambrosial brew. You can almost see the smile of contentment on their faces. They have other cups of tea throughout the day, but nothing is as sacred and important as that first morning cup. I usually don’t approach my parents until they have had their morning cup of tea. They are far more amicable after that first cuppa! My father loves his tea. We went to Palampur last year, all of us looking forward to relaxing amongst the mountains and the lush greenery of the tea gardens. He on the other hand just had one motive - to Drink the Famous Kangra tea. 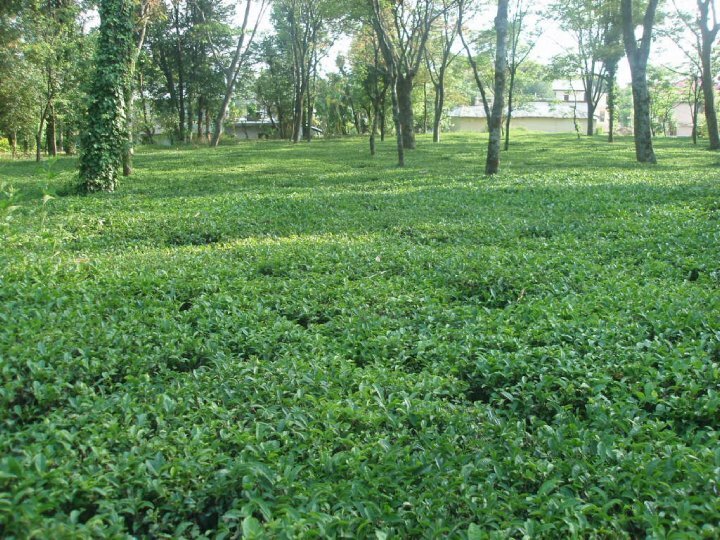 And he drink he did by the gallon, sitting in his hotel balcony overlooking the tea gardens. ! I have some wonderful travel memories associated with Tea. My favorite memory is of driving through the Himalayas and stopping at a small road side Dhabha. It was cold and drizzling and we were starved. The owner made us crispy Pakoras and we washed them down with cups of steaming Ginger – Cardamom Tea. We couldn't have asked for anything better on that chilly evening. A few months back While trekking along the Pangong lake in Ladakh, we befriended a feisty young girl called Padma. She took us to meet her family and we had delicious cups of Gur Gur Chai (Salty Yak – Butter Tea) sitting on yak fur rugs in her smoky kitchen. Another memorable cup of tea was with the Indian soldiers at Khardungla Pass. (The highest motorable road in the world) It was bitterly cold and that steaming cup of tea they gave us literally helped in thawing us out. It was a fantastic experience chatting with the Soldiers who have spent so many years in that sub zero temperature. I had Green tea for the first time when I went to japan and I have been hooked to it since. 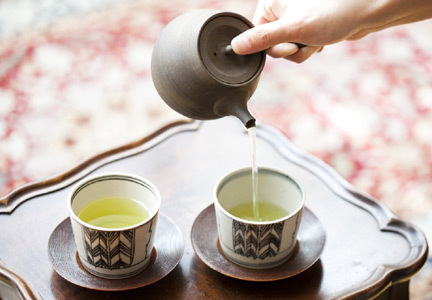 For the Japanese serving tea is a ceremony in itself. They have a wide range of Cha to choose from depending on the season and what is being eaten. Japan is where tea is served both hot and cold and you can buy it in plastic bottles from vending machines. I love my chai. My day cannot start without it. The Marie biscuits brought a smile to my face and many memories of India. Nice. Glad you liked it ! Marie biscuits go wih Chai ! Quiet the traveler you are:-) And Ukrainians call it 'chai' as well! I hoped so too but it was rather sweet ! I guess Chai is almost a universal word. What lovely memories associated with tea! My parents' tea schedule is also pretty ritualistic complete with Marie biscuits; only they have black tea without sugar! Mine love the milky kind ! Those are some interesting facts about tea, in Kitkats, ice-creams, cakes et al? Bottled too! 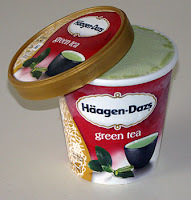 I love green tea. I love tea as such, but only the tea prepared by my own self ;) Reason: I cannot stand the overly milky teas. I want to go to Himalayas and have tea now !! Tea always is my savior ! 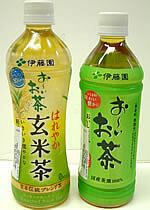 I love elaichi tea ! Tea at high altitude always seems to help ! If nothing else at least it warms you up ! Yeah it gets tough to meet the exact specs of these tea lovers ! That Japanese green tea used for cooking is Matcha. Yes Matcha it is ! I know how much you love tea ! You will be surprised that i dont drink tea ever -- that is Indian tea, though my parent, siblings, daughters and hubby do. Thank you Aabha ! One can learn a lot from the Japanese ! I love Chai too, and am really trying to restrict it to twice a day only. Yeah to much tea can get toxic ! I was nodding my head in approval when reading about your parents morning tea ritual... it is the same for me... the most cherished time in the morning is when I am sitting with my mug of tea... no disturbances, no talks... just me and my cup with a book or a newspaper or the laptop. Quiet time with morning tea .. sounds perfect ! i love tea, have it and prefer it over coffee! I make my own tea in the lab in the absence of a good vending machine! I hate office vending machine tea too ! Thanks for sharing Ritu ! Chiwala KitKat is an interesting experience ! I am not really a tea-lover but I have many of those around me, so completely understand your feelings. I have been subjected to forcibly have tea, many a times. I remember an incident where two of my tea-lover friends forced me to drink a sip or two of tea , late at night so that they don't commit the sin of pushing it down the drain as their mugs were more than full. While they enjoyed their tea and went to sleep after a while, I ended up staying awake till 3 a.m. on a Monday morning. I haven't forgiven both of them yet. Oh dear ! Tea keeps me awake too ! A hot cup of tea may do more than relax you. Research shows tea consumption may help prevent a wide range of ailments. The latest medical research is finding potential healing powers in this ancient beverage. Recent research, for instance, suggests drinking tea may help prevent everything from cavities to Parkinson's disease. And some studies indicate it may even save lives. The benefits of tea consumption may extend throughout the body, experts believe. Here is a partial list of conditions some research has shown may be prevented or improved by drinking tea: "
Will definitely read your post ! What a post! Loved it from start to end. My mom loves her tea just like that, minus the spices though. Me, I am a pain to deal with if I don't get my morning cuppa coffee. 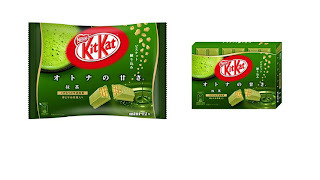 And now I want green tea kit kat please!! Remind me never to go near you till you have had your first cuppa. Green KitKat is adventurous ! I have heard of the Ladhaki chai but didn't know the name. Wondering whether you've heard of the American chai latte? It's another name for our masala chai, I'm guessing! The cup that binds - what a lovely way to put it ! green Tea is awfully good for you ! I am a tea person too. But tea with yak butter sounds really adventurous. It was salty .. but truly delicious ! Just last week, I was at Makaibari Tea Estate, Kurseong. The famous Darjeeling Tea was an eye opener, the connoisseurs pay something like 18k for a kg of silver tips, incredible. Tasted more than 20 types ranging form first flush to dust. The whole experience was something to be cherished for a long time. Wow ! must have been some experience ! I am a chai lover. Thanks for sharing your parents' chai ritual. I will try it tomorrow. I am still perfecting the art of making chai. You have had some wonderful experiences. My parents almost have the same tea-rituals. Both of them can't function until that first cup goes in. My mother is always trying out different kinds of tea leaves, she is never satisfied. :D I love tea almost as much as coffee, Ruchira. Enjoyed reading about your parents' chai ritual. That first cup of the morning is so sacred! 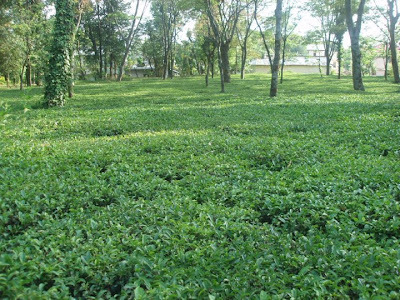 We visited the tea gardens in Darjeeling last year and it was like heaven! I don't mind drinking tea when I feel like. I like coffee better than tea but there are days that I yearn for tea. My mum loves her tea and sometimes when she sips her cuppa, i get the urge to take a sip as well. Your tea tales were quite interesting. 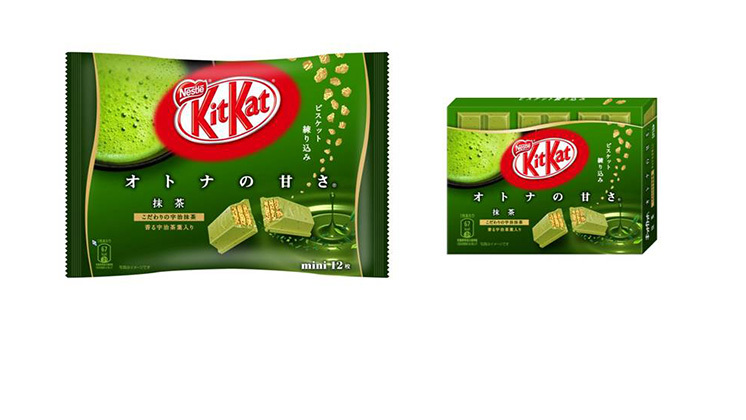 I can't imagine Kit-Kat in a tea flavour though. Ah, I forgot, I'm a regular G-tea drinker. Wow! you too a chai addict. Me too. I love tea in all their forms. I love your chai stories but envy your destinations and journeys :) You are a Lucky lady. Chai for me anytime anywhere,in a BIG mug,kadak,meethi adrak wali.It is 2am and I think I should make myself one..right now. Wanna have ?? Chai garam ! Chai I guess is India's life line ! atleast the most parts of it... In gujarat Wagh-Bakri (Translation - tiger-goat see... we love animals) tea is very phamous !! have you tried it ??? maybe I will get a pack of it for you !!! The one day I was really glad for a tea was when I came down from the freezing mount Titlis. There was an Indian Chai Van at the bottom of the mountain and I was so happy when I saw it.